Happy New Year 2016 Greeting Card Or Poster Design With Minimalistic.. Royalty Free Cliparts, Vectors, And Stock Illustration. Image 46619412. 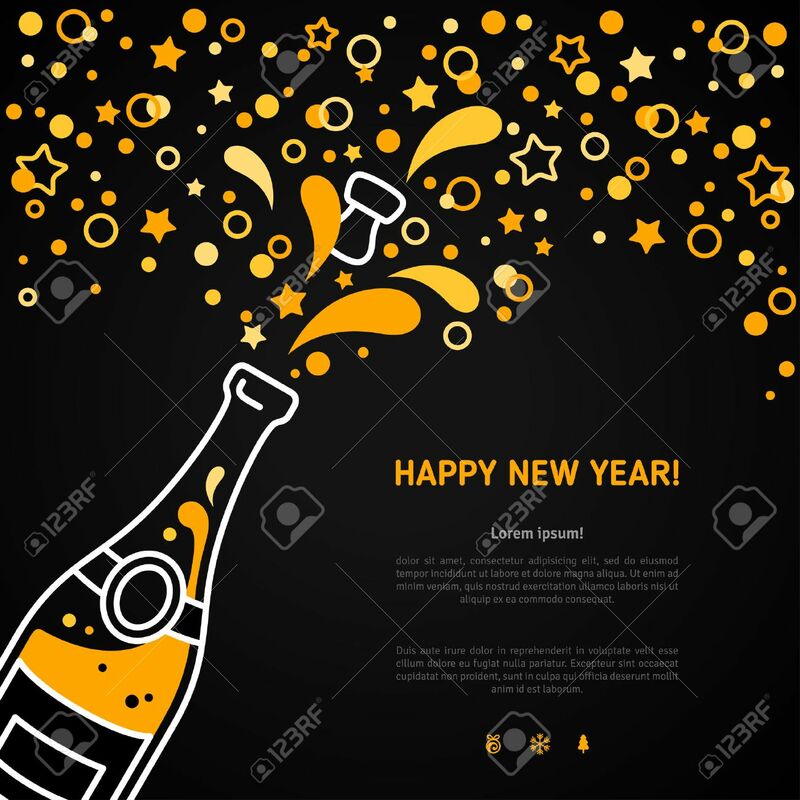 Vector - Happy New Year 2016 greeting card or poster design with minimalistic line flat champagne explosion bottle and place for your text message. Vector illustration. Stars and particles foam splash. Happy New Year 2016 greeting card or poster design with minimalistic line flat champagne explosion bottle and place for your text message. Vector illustration. Stars and particles foam splash.